Intel’s Itanium processor launches are few and far between given that only so many need its specialized grunt, but that just makes any refresh so much larger — and its new Itanium 9500 certainly exemplifies that kind of jump. 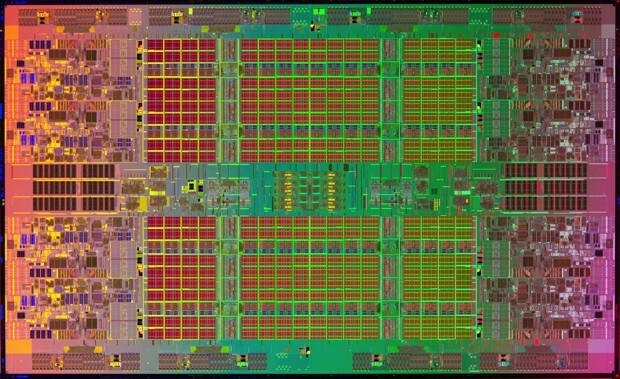 The chip centers around much more up-to-date, 32-nanometer Poulson architecture that doubles the cores to eight, hikes the interconnect speeds and supports as much as 2TB of RAM for very (very, very) large tasks. With the help of an error-resistant buffer, Intel sees the 9500 being as much as 2.4 times faster as the Tukwila-era design it’s replacing. The new Itanium also ramps the clock speeds to a relatively brisk 1.73GHz to 2.53GHz, although there will be definite costs for server builders wanting to move up: the shipping roster starts at $1,350 per chip in bulk and climbs to an eye-watering $4,650 for the fastest example. Anyone worried that Poulson might be the end of the road for Intel’s EPIC-based platform will also be glad to get a brief reminder that Itanium will soldier on. The next iteration, nicknamed Kittson, will be framed around a modular design that shares traces of silicon and the processor socket with the more familiar Xeon E7. Intel casts it as a pragmatic step that narrows its server-oriented processors down to a common motherboard and should be cheaper to make. It’s likely that we’ll have to be very patient for more details on Kittson knowing the long intervals between Itanium revamps, but fence-sitting IT pros may just be glad that they won’t have to consider jumping ship for awhile yet.